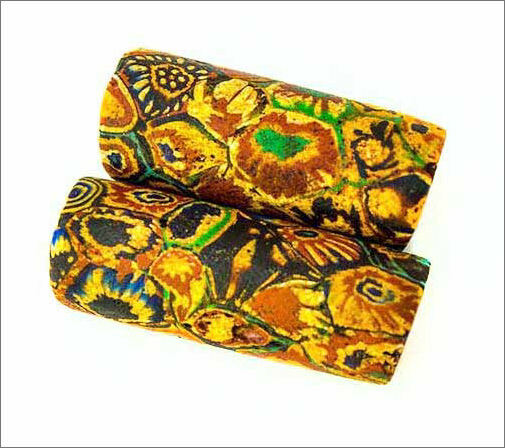 Two large RARE antique multi-cane Venetian miillefiori beads from the African trade in great condition. They measure approximately 11 mm in diameter and 29-31 mm in length. $20. Two rare red oval antique Venetian beads from the African trade circa early 1900's. The beads are in nice condition and measure approximately 11 mm in diameter at the widest point. $20. 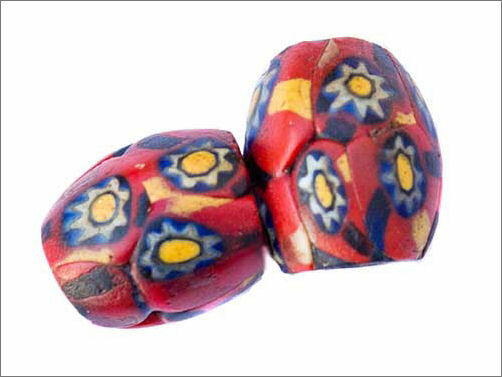 Two beautiful RARE antique Venetian fancy glass beads in excellent condition. Used in the African trade early 1900's. 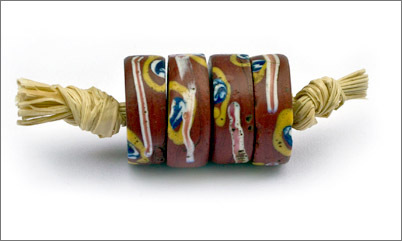 The beads measure approximately 21 mm in length and 12 mm in diameter. $18. 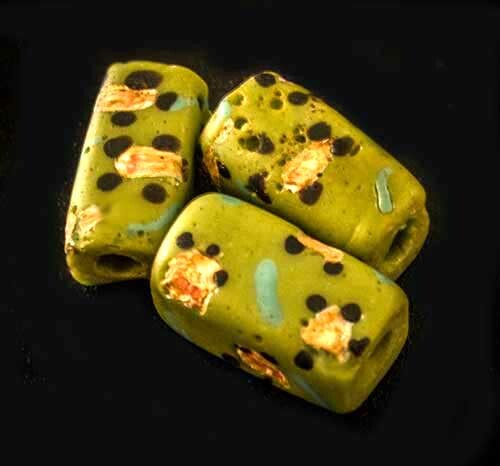 Three rare antique Venetian lime green rectangular glass trade beads in very nice condition circa late 1800's, early 1900's. Used in the African trade. They measure approximately 18 mm in length. $16. 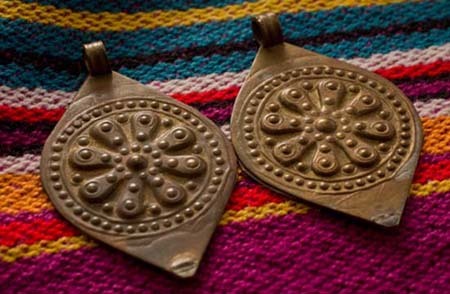 Two handcrafted pendants from Morocco. Unknown metal content. They measure approximately 4 inches in length and 2 3/4 inches in width at the widest. $35. Four beautiful rare brick red antique Venetian fancy disk beads from the African trade circa early 1900's. 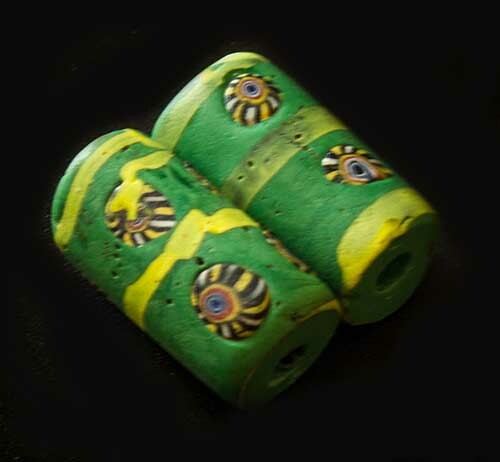 The beads are in very nice and measure approximately 12-13 mm in diameter. $20. Copyright © 2019 TimeStreams.com. All rights reserved.